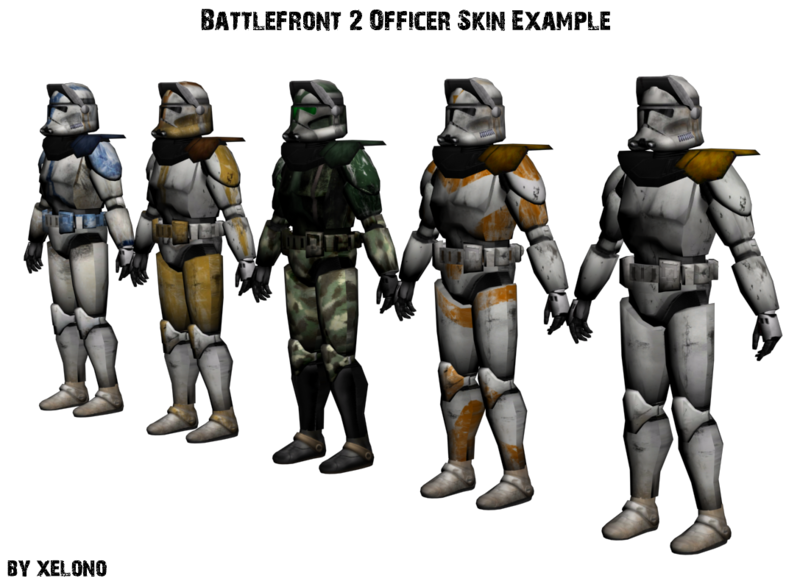 I thought you could buy skins of Officers in their Clone armor. This skin / model could be unique for all legions. By default it could be Commander Bly's armor. Just imagine this skin / model with its respective Legion skins. I think it would be pretty good, and of course of course also add something from the saga, like the Gree skins. What do you think? 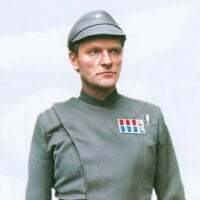 Will we ever have Officer skins for the clone army? I was going to add a snarky and dark comment about clones and a shortage of willing boots on the ground. But maybe why not give them armor, after all they could go helmet less and still do their duty as officers (Helmet less so as to differentiate them from the rank-and-file) give them an Arcs Pauldrons and a protective Kama around the waist. 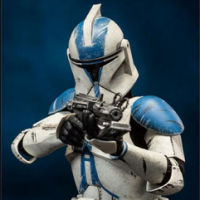 I agree that the Clone Officers need to be armored. But I don't like the idea of the officers wearing the armor of each legion's respective commander. 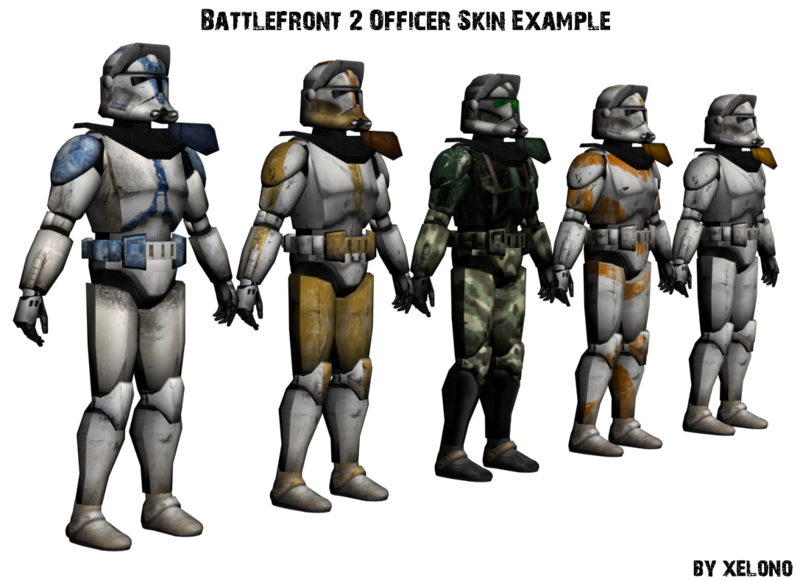 Officers should be in armour, however they should not resemble the unique armour of established Clone Commanders. 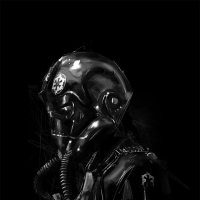 For the Officer, put as a model to follow, Commander Bly (unique model for all legions) but depending on the legion, this will only change the painting (skin), strictly speaking it will remain the same model.